The precious vessels are made of hand-blown glass, each one is unique. The colors are created because the glassblower inserts them into the process while the glass is still red-hot. The decorative ceramic closures with a pearl structure in matt anthracite are handmade in a small manufactory in Portugal. 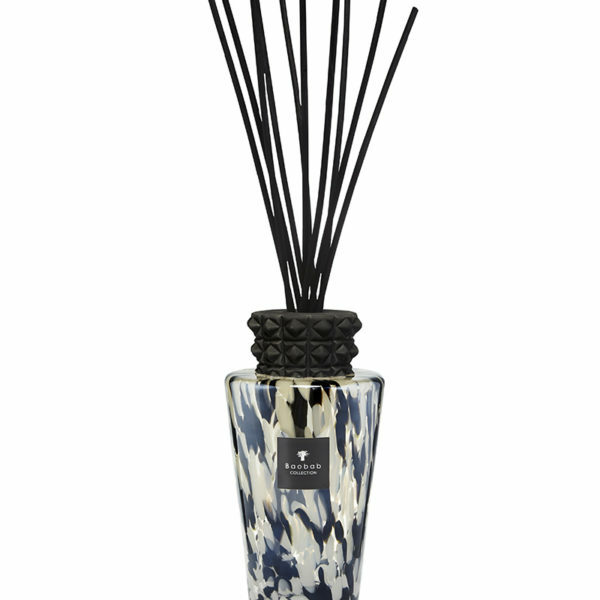 These diffusers are the ideal solution when it comes to high standards of uniform scent, style and design. Wonderful for scenting even larger rooms and ideal for prestigious areas. The imposing 2L diffuser is inexpensive refillable. 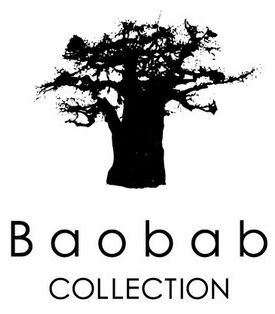 The Baobab Room Scent Pearls Black exudes the stimulating notes of ginger, which are skilfully rounded off by the black rose. The special bottle is handblown. 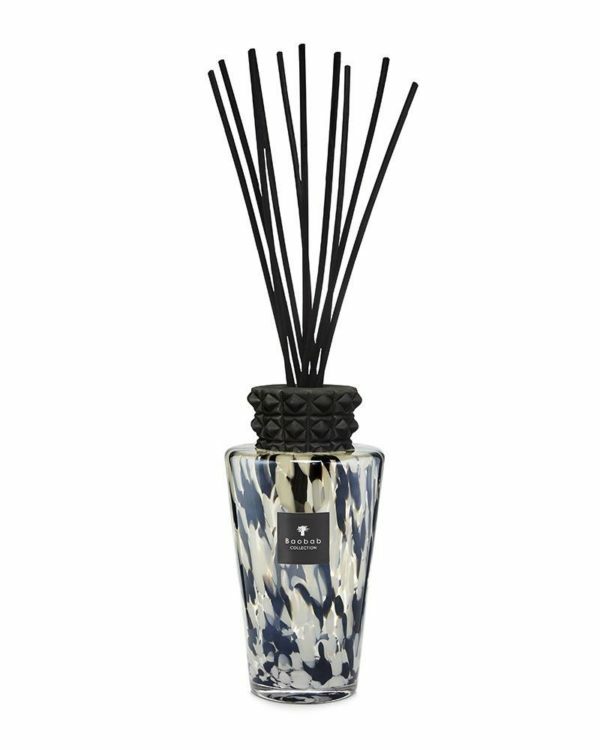 The delicate white and black veils make this XXL diffuser a wonderful home accessory.